Rod 2.0:Beta #gay #news #lgbt #gaynews: VIDEO: Laverne Cox's Powerful Speech at "Creating Change"
Cox is writing a memoir and developing a documentary on the case of CeCe McDonald, the Black transgender woman who was targeted in a racist and transphobic attack in June 2011. McDonald fatally stabbed the man that attacked her and her friends. She plead guilty to second degree manslaughter in June 2012. McDonald was sentenced to 41 months in prison. She was released from prison on January 13. Numerous studies have shown that Black and Latina trans women are at the greatest risk of violence and the murders of Black transgender women often remain unsolved. Black trans women face "extreme discrimination and poverty", and are more than likely to experience violence, physical or sexual abuse, police brutality, HIV/AIDS and bullying, according to a first of its kind survey conducted by the National Gay and Lesbian Task Force, the National Center for Transgender Equality and the National Black Justice Coalition. 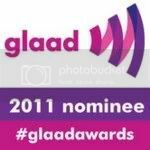 Laverne Cox co-stars in the GLAAD Media Award-nominated Netflix series Orange is the New Black and the GLAAD Media Award nominated film Musical Chairs. Love, love, love her work. Ms. Laverene Cox is the truth, children. Love her talent and love her message. So happy that she opened the conference. Ms. Cox's message and story are very inspiring. I am very thankful that she is sharing her gifts and has had much success. Namaste.